Whole House Automation Changing the Way you Live. With today's technology, consumers are able to do whole house automation. This allows for the integration of all types of lighting, communications, environmental and security systems. These systems can take your living experience to a whole new level. The automation is designed around your family's everyday living. You should make every effort to minimally do the structured wiring portion if at all possible. This involves only the cost of the wire itself and the labor to run it. The wires remain neatly tucked in the walls until you are ready to use them. As you can see, pretty much anything is possible. In fact most systems allow you to set up what are called "Scenes". Scenes are pre-programmed events that occur when selected. Whether it is an "Entertainment" scene or an "Away from Home" scene, a single push of a button would activate a pre-determined sequence of events. Whether an entire home theater system is the goal or just lighting and music; there are a multitude of entertaining options available. Entire home theater systems can include multiple televisions, music in every room, satellite radio, ipods, mp3 players and disc changers. Each component can be turned on from keypads strategically placed throughout the home. Setting up different zones will allow for multi-component playing from different sources at the same time. Along with the theater options, lighting is programmed to be set to certain modes for entertaining purposes. You select the number and types of lights you would like to have lit and at what level for the particular type of entertaining. Multiple scenarios can be set for different types of parties and entertainment. Something to ponder if you are considering a dedicated theater room are the layout, where to house components and how to make the room soundproof. Types and placement of furniture and draperies can contribute to the best sound quality. Contact a qualified installer to get the most out of your room. Soundproofing is another way to add to the acoustics of the room while keeping the sounds from those mighty sub-woofers from taking over the entire house. There are various methods of soundproofing including insulation and membrane materials created for this application but each of these is made better by using soundproof drywall. There are also different levels of soundproof drywall to take into account depending upon your budget. When considering location for the equipment, realize that if done in the early stages of construction or remodeling, the equipment can be located remotely in a closet or other room so as to not have to affect the look of the theater room with added furniture. While thinking security, whole house automation allows for various security options to be integrated. Exterior video surveillance of the house is monitored online or on a nearby television set as inconspicuous cameras mounted outdoors keep a watchful eye over your property. The ability to have all house lights come on with the push of a single button or automatically if the security alarm sounds is very comforting. This can turn on not only all interior but exterior lights as well. This can be a great deterrent for would be burglars. Planning "away" scenes which randomly play while you are away are also great deterrents. It is difficult to figure out if someone is home or not since the scenes play out differently over a select period of time. The scenes record real activities over a period of time (not usually less than two to three weeks). Once you are away, the system is set to play back the scenes it has recorded which randomly turn lights, TVs and other devices on and off automatically giving the appearance that someone is in the home. Another feature which can be added is an auto water shut-off. Water sensors are placed close to the source where water enters into the home. These sensors tie into the home security portion of the system and if activated they will send a signal to the auto shut-off to turn the water off. This feature can protect your belongings should you have failure in the piping or valves at your homes water source. All of these security options can seamlessly integrate into the whole house automation systems. If security is a concern for you, Click Here for additional resources. 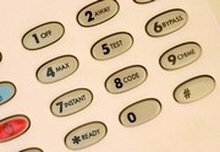 Integrating telephones into the whole house system is easier than ever. Both desk type and cordless phones can be used with multi-lines, built-in voice mail and intercom features. Telephones can also be interfaced with the security system as well as with the lighting. This will allow you to call into your home from a remote location and change any settings to both the security alarm and lighting if you so choose. As you can see, the only thing that limits you is your imagination. Whole house automation is the smart choice for now and in the future. If you are planning a home theater room, then this inexpensive resource can pay huge dividends in your success. This eBook will take you from the designing phase right through the building phase. From simple living room system to dedicated theater rooms this eBook tells all. You can learn everything from proper placement of equipment, sound proofing, projectors, speakers and much, much more.